Battle for the brands: which marketing channel wins? 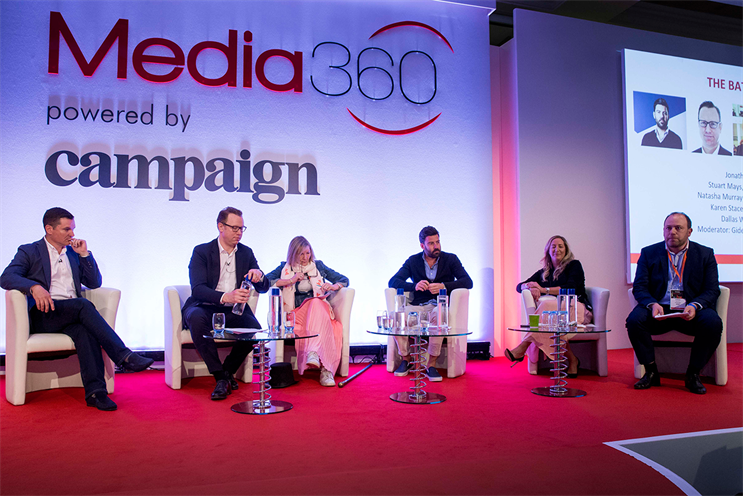 Campaign’s head of media, Gideon Spanier, put it to the panel that all of the change and technological progress of the last ten years has led to a neglect in the art of brand building… so how are different media doing their bit to build bigger better brands? 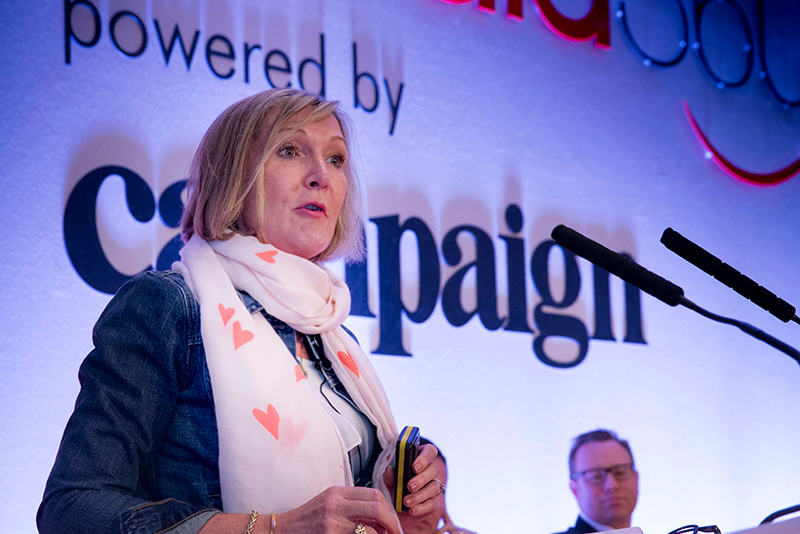 Dallas Wiles, commercial director at JCDecaux argued that outdoor advertising is the "right place" to be building brands because being in a mass-reach public domain ensures eyeballs in a brand-safe environment – a consideration that is becoming more relevant in every sector. He previewed a study from Work Research into the attitudes of c-suites at agency and client level that showed a ‘Brand Gap’ between what brands know and how they behave. While they are familiar with Binet and Field’s study that successful brands spend 60% on branding and 40% on activation, not all clients are following this – although Wiles said the pendulum is swinging back to a long-term approach once again. But over the last 30 years many brands have created iconic posters that boosted brand fame. 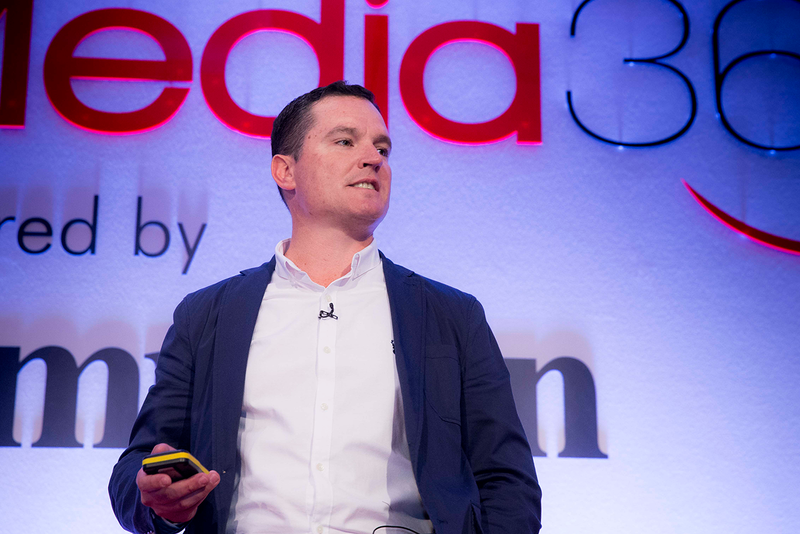 Wiles cited The Economist and easyJet as stand-outs referencing Carolyn McCall talk at Media360 the day before. 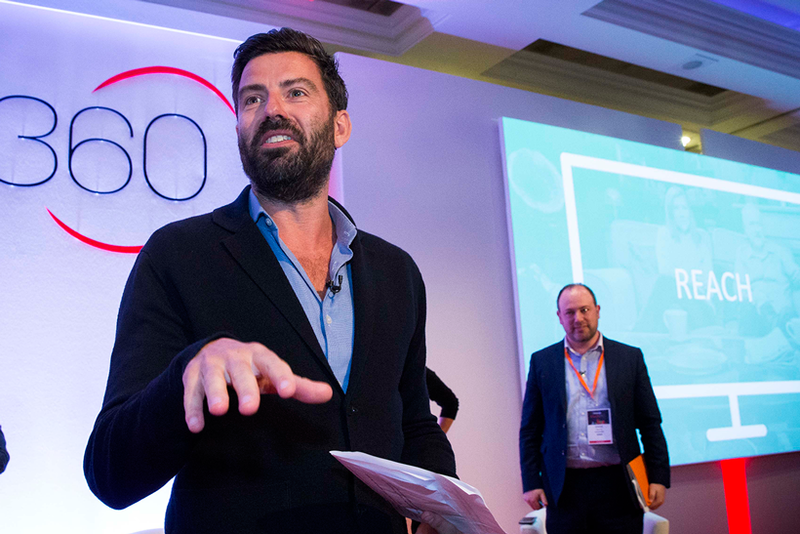 McCall, ex-CEO of easyJet, said easyJet delivered outstanding results via outdoor and TV to reposition their brand. Wiles said: "Outdoor delivers brand fame, brand safety and brand health – all key attributes of building a successful brand. I believe we are seeing a return to brand-building with more of a balance between branding and activation." DCM’s chief executive, Karen Stacey, stepped up with the strains of "This Is Me" from The Greatest Showman, making the point that films are not restricted to the screen but have impact in music and in wider culture. "Films take themselves very seriously as brands," she said. "They are brands in their own rights." Going "back to basics" can be effective to build awareness and reach quickly. Films do this in the weeks before launch, on all platforms including outdoor, radio and TV to build hype and get people talking: "We know we have a finite window to get it right." Cinema is a trusted environment – and there is a lot of love around it. "You want someone to wear you as a badge," she said. "Cinema does this well. You have a captive audience in a dark room doing nothing else but looking at your ad." She said that cinema is standing the test of time – and growing. "2019 is going to be even stronger. No doubt these films and the ads will create cultural moments – and what brand doesn’t want to be part of culture?" Jonathan Allan, sales director at Channel 4, asked everyone in the room to stand up. He told people without a TV and people who don’t listen to radio to sit down. One or two people in the room took their seats. The majority stayed standing, demonstrating TV’s huge reach. "Although there is a place for very close targeting, that can be an Achilles heel for how you sell," said Allan. "Reach and penetration are the most important thing when it comes to sales." So in terms of brand building, mass media still has a place. But context is King, he said. The place in which you deliver messages is crucial and all these media are trusted and regulated places in which to deliver a brand message. He concluded that reach, value and trust are the three considerations to focus on when building a brand. Natasha Murray, director of client partnerships at Guardian News & Media, fought the corner for journalism. She said that 24 million people read a news brand every day. "Journalists are holding people, the government and companies to account," she said. "It all boils down to the trust that readers have in us. Trust is what sets us apart." She said that there has been a period of brands experimenting, often with cheaper options. But, she said, we have reached a turning point where the "collective understanding of those benefits and pitfalls are coming to the front". 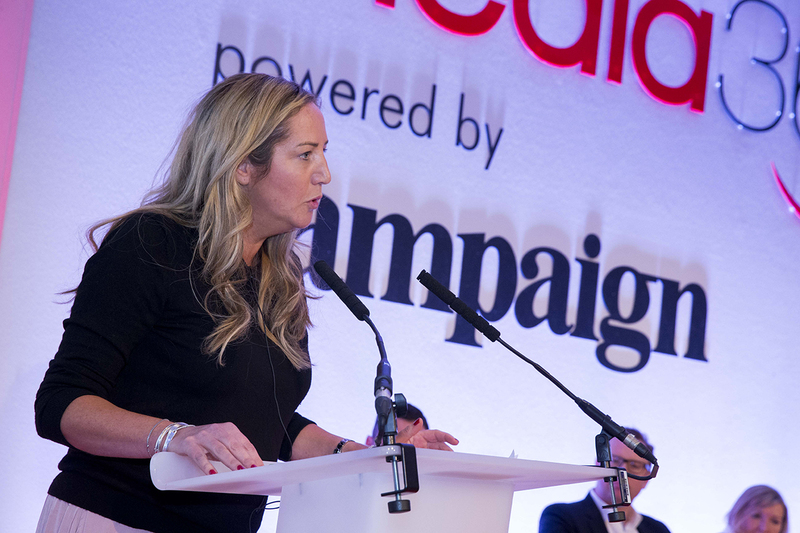 A report by the Chief Marketing Officer Council said that 38% of marketeers are starting to question advertising rates and 24% have reduced their spend with certain digital platforms due to their false metrics. "Marketeers are powerful drivers for positive change" she said. More voices are questioning the balance between different challenges. "We have to evolve what we are doing as our audience – their behaviors and needs – evolves," she said, pointing out that more people are turning to podcasts and audio is gaining a more captive audience. "A relationship between brand and consumer is not based on an algorithm," she said. "It’s about people. Ultimately good advertising evokes emotions and behaviours, fuelled by intelligent and powerful debate." Advertisers care about their brands and customers. She concluded that we are seeing a resurgence of the core advertising principles of trust, equality, creativity and content. 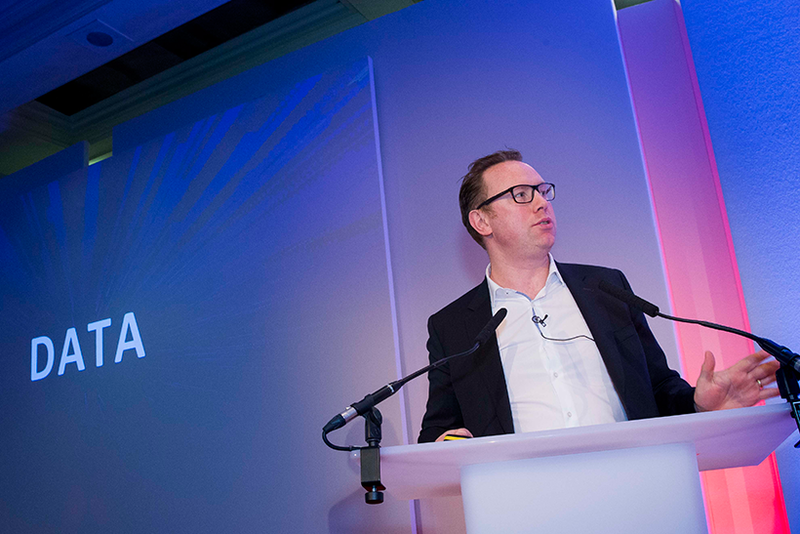 Voice search and audio tech is on the rise and brands need to make sure they aren’t mute said Stuart Mays, director of commercial strategy at Global. Radio is enjoying its ninth year of revenue growth and audio and broadcast channels are delivering the highest returns for advertisers. Mays said: "Media made up of strong enduring brands with heritage, that continue to serve up material our customers wants day in and day out." Mays said data is key. It helps make decisions which are better for clients and consumers. But he warned that we need to ensure we don’t become an industry that uses data selectively or jumps to the easiest most obvious conclusions that the data shows. "The conversation needs to shift away from the all-too-easy seduction of driving short-termism," he said. Spanier concluded that his keyword would be "quality"